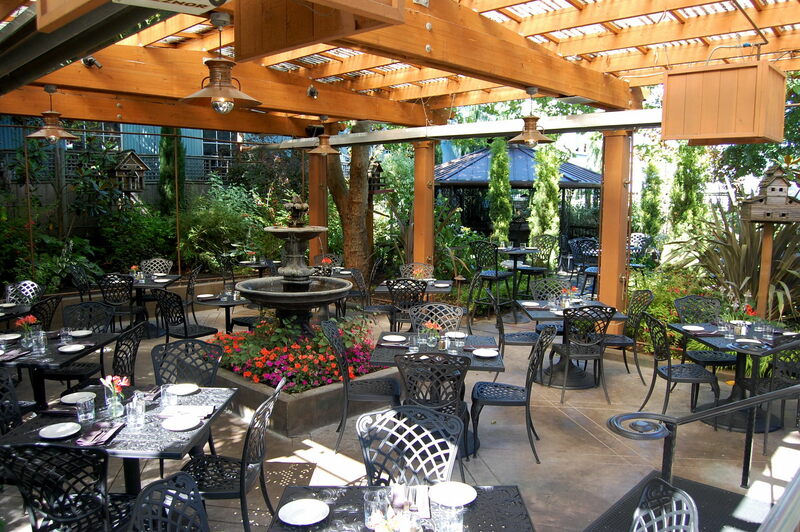 Meriwether's lush gardens are the perfect setting for everything from outdoor dining to special occasions large and small. 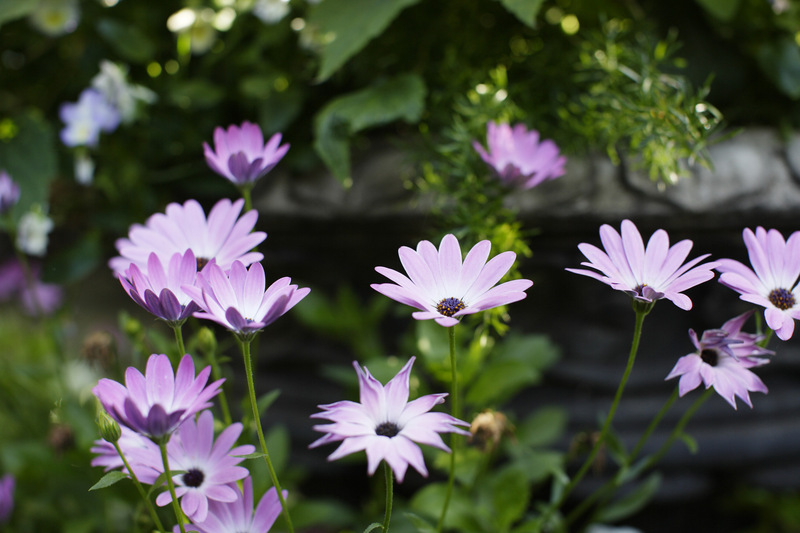 Three distinct garden areas designed by Margaret de Haas van Dorsser, a renowned local designer specializing in all-season gardens, including a sunken patio, a meandering circular garden and a gazebo with a fire pit. A large garden area at the back of the building provides year-round outdoor dining for restaurant guests. Like our menu, Meriwether's gardens boast seasonal appeal, which means there's always something beautiful to look at or smell, and blooms to savor throughout the year. Tree peonies and hosta arrive with spring, followed by geraniums, hydrangea and crocosmia, harbingers of summer's sun and warmer temps. Fall brings the oak-leaf hydrangea and myrtle, and winter's hummingbirds are drawn to the fragrant, floral Edgeworthia.